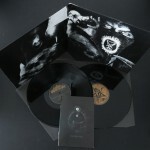 2 × Vinyl, LP, Album, black vinyl, 2:nd vinyl is single sided. 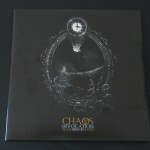 The Vinyl version of Chaos Invocation’s second full length album “Black Mirror Hours” comes as noble Gatefold Double LP, including a 28 pages A5 sized booklet, black 180 gram vinyl. 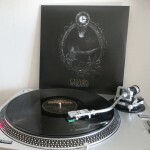 Black Mirror Hours is the seconf full-length album by the German satanic black metal band Chaos Invocation. A decent album, but with some lack of orginallity. I was maybe hoping for more when I bought this record. 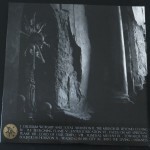 The album were released through the German label W.T.C. Productions (W.T.C. 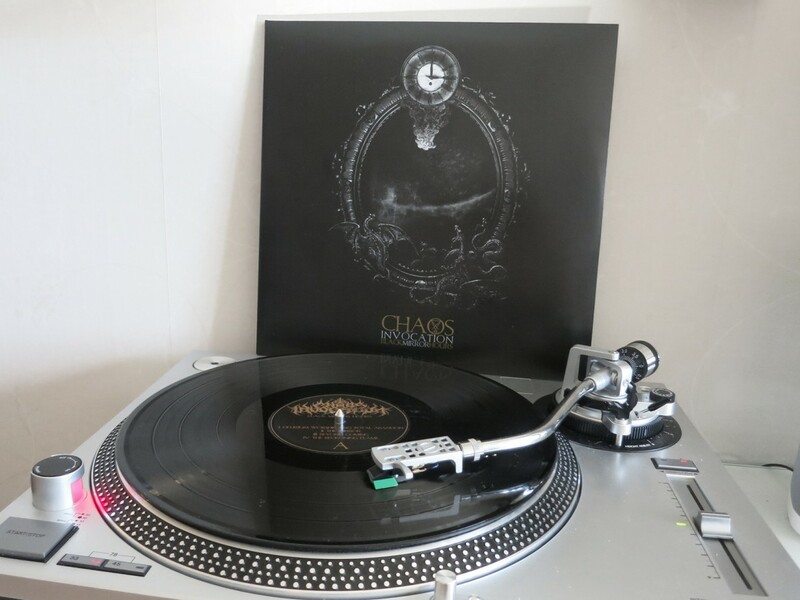 087) during the spring of 2014 in two different vinyl versions, a double black vinyl version (this one) and a more limited version on grey double vinyls. Beside the vinyl colors its the smae package. Comes as a double vinyl, but one of the sides on the second vinyls are single sided, comes as a gatefold sleeve, including a 28 pages A5 sized booklet. A really nice looking product, that give you the “little extra” for buying the album. Well done on that W.T.C!